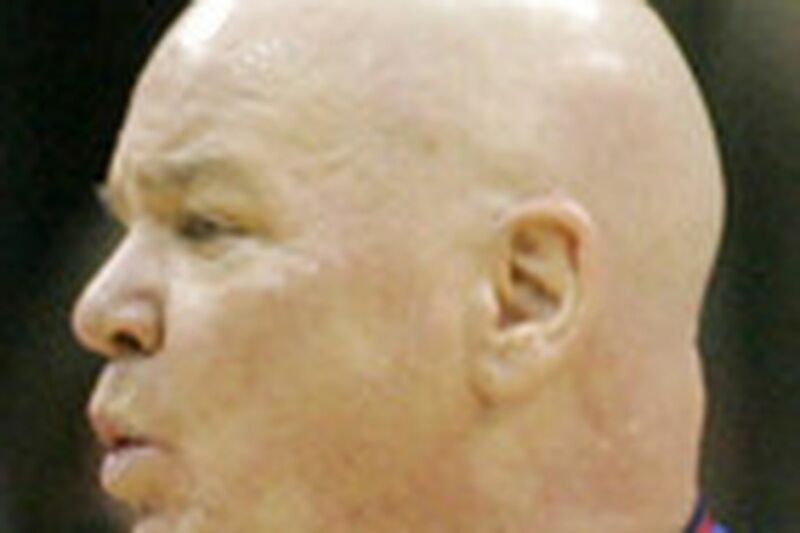 NEW YORK - Joey Crawford is done ejecting players and coaches this season. Yesterday, he was the one getting tossed. The veteran NBA referee, a Havertown resident, was suspended indefinitely by commissioner David Stern for his conduct toward Tim Duncan, who contends the official challenged him to a fight during Sunday's game in Dallas. "Especially in light of similar prior acts by this official, a significant suspension is warranted," Stern said in a statement. "Although Joey is consistently rated as one of our top referees, he must be held accountable for his actions on the floor, and we will have further discussions with him following the season to be sure he understands his responsibilities." When contacted yesterday by the Daily News, both Crawford and Larnell McMorris, who represents the NBA's officials, declined to comment. Crawford ejected Duncan from San Antonio's loss after calling a second technical foul on the Spurs star while he was laughing on the bench. "He looked at me and said, 'Do you want to fight? Do you want to fight?' " Duncan said. "If he wants to fight, we can fight. I don't have any problem with him, but we can do it if he wants to. I have no reason why in the middle of a game he would yell at me, 'Do you want to fight?' "
Crawford was cited for "improper conduct" and "inappropriate comments made to Duncan during the game." Stern said Crawford's actions "failed to meet the standards of professionalism and game management we expect of NBA referees." Crawford comes from an officiating family. His brother, Jerry, is a major league umpire, as was his father, Shag. Joey Crawford is in his 31st season as an NBA referee. He has officiated more than 2,000 games during the regular season and 266 in the playoffs, including 38 in the NBA Finals. But his temper has gotten him noticed before, especially in Game 2 of the 2003 Western Conference finals, a matchup involving the same teams as in Sunday's game. Crawford called four technical fouls in the first 10-plus minutes, leading to ejections of then-Mavs coach Don Nelson and assistant Del Harris. Crawford also called a technical in a recent game against Duncan, who said Sunday that Crawford has a "personal vendetta against me."